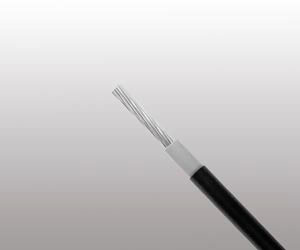 PHOTOFLEX Photovoltaic Cable are designed for connecting photovoltaic system components inside and outside of buildings and equipment with high mechanical requirements and extreme weather conditions.This product type is TUV approved. Conductor Stranded tinned copper conductor per DIN VDE 0295 and IEC 60228 Class 5. Insulation Electron beam cross-linked, halogen free and flame retardant compound. Sheath Electron beam cross-linked, LSZH and flame retardant compound, Black. Dynamic Penetration According to Acc. to EN 50618, Annex D,Meets requirements of EN 50618. The cables are conform to the EC directives CE 2006/95/EC (Low voltage directive) and RoHS 2002/95/EC (Restriction of Hazardous Substances).